Buying lunch every day, whether it’s your kids buying school lunches or you stepping out of the office for a bite at the local cafe, can add up. At the same time, packing your lunch every day can get a little boring — eating the same PB&J, apple and pretzels can get old really fast. 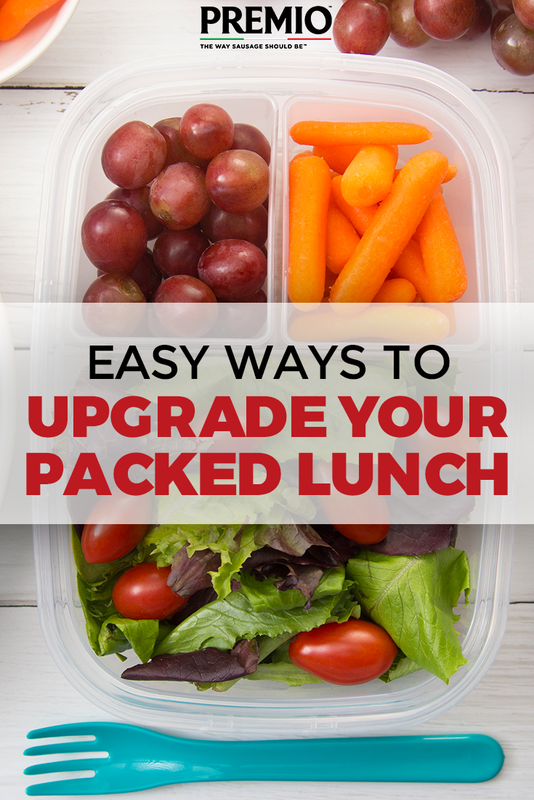 You can upgrade your packed lunch in many ways. Bringing your lunch doesn’t have to be boring and can save you a lot of money over time. Check out three of our best tips on turning your drab packed lunch into a meal you look forward to enjoying all morning. Packing your lunch can be a little pricier if you use disposable items every time. The cost of paper bags, plastic utensils and disposable plastic baggies will add up and are also much more harmful to the environment. Invest in reusable items to save money and help the environment. Buy a nice lunch bag, some different sized plastic containers and always pack real utensils if you need them. When you can pack up your reusable items back into your lunch bag at the end of your meal, instead of just throwing everything away, it makes the meal taste a little bit better. And, reusable containers give you more options for the types of foods you can bring with you. When you buy your lunch, you’re limited by what kinds of foods are available. Some schools don’t always offer many healthy choices, and local restaurants may have delicious but high-calorie foods. Packing your lunch gives you almost unlimited options for what you can bring with you. The great thing about packing your lunch is that you can meal prep all of the week’s lunches in a day. Find some tasty recipes, get cooking over the weekend, and you’ll be set for the entire week. If you’re looking for some inspiration, check out some quick and easy sausage recipes from Premio! This collection of amazing time-saving recipes will inspire you to make delicious and health-conscious recipes that use sausage for lunch. Packing a balanced lunch is key in getting the energy to finish out your day at work or school. After you’ve decided which foods to bring, you also have to pack your lunch bag the right way. If you’re including an ice pack for yogurt or other foods that need to be cold, keep those items separate from bread, chips and similar foods. No one wants to end up with soggy bread or cookies when lunchtime comes around. You also need to keep your lunch bag hygienic. Store foods at the right temperature and avoid cross-contaminating certain items. Lunch bags can also get some moisture in them from chilled foods, which can grow mold if you aren’t careful. Dry out your lunch bag when you get home and wipe out any moisture you find right away. If you find one of our recipes you want to pack for lunch, be sure to cook with Premio sausage! Before you get cooking, check out our store locator to find your nearest grocer with Premio in stock today.